Rob Cross became the highest-profile exit at the World Grand Prix in Dublin. It was the second year in a row the World Champion from Hastings he has gone out at this stage. 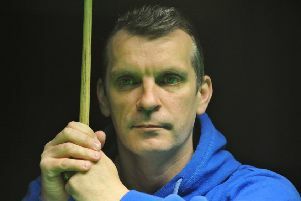 Cross is yet to win a match at the Citywest Hotel and Steve Beaton beat him 2-0 this time on Monday night on the outskirts of Dublin in his 15th appearance at the Grand Prix. Averaging in the mid-70s, Cross struggled throughout. He won just a single leg as the 54-year-old Beaton rolled back the years, kicking things off with a clinical 50 check-out. The Hastings man recently exited the group stages at Champions League of Darts.